Richard Duardo was a master printer known as the “West Coast Warhol” An exhibition of his vibrant, colorful prints is on view at the McNay Art Museum. 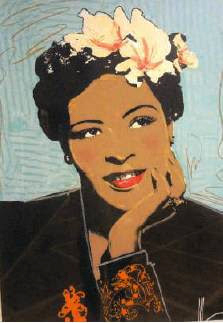 Billie Holliday was one of the iconic singers Duardo featured in his art. “A Clockwork Orange” was another of Durado’s nods to icons. With a degree from the University of Texas at Austin burning a hole in his pocket, Ricardo Romo went west in the late ’60s to take a teaching post at Franklin High School in the Highland Park neighborhood of Los Angeles, near Dodger Stadium. One of his students was Richard Duardo. 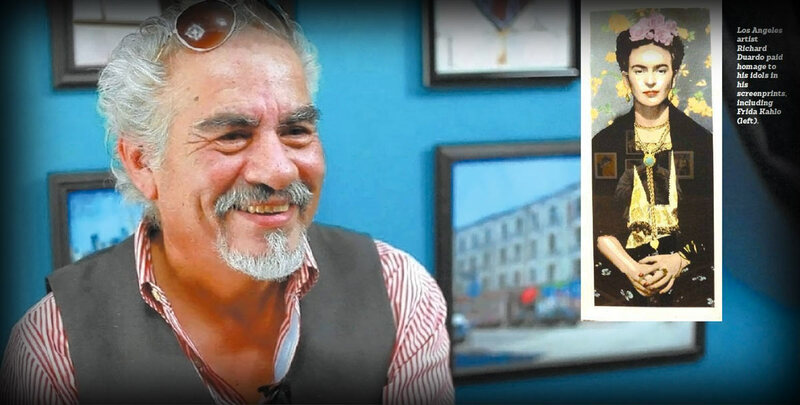 Duardo, who died in November at age 62 of complications from diabetes, would become (through his work at legendary L.A. studios such as Self-Help Graphics, Centro de Arte Público and finally Modern Multiples) one of the most influential figures in Latino art. 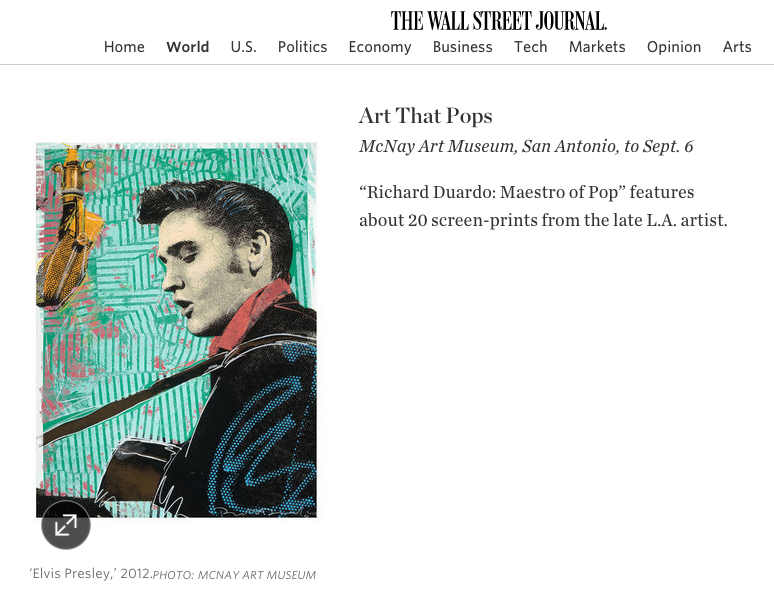 “Richard Duardo: Maestro of Pop,” which just opened at the McNay Art Museum, features 19 of Duardo’s large-scale, vibrantly colored master prints of cultural icons ranging from Pablo Picasso to Raquel Welch. All were donated to the McNay by Romo and his wife Harriett, a professor in the sociology department at UTSA. “For this show we focused on Richard’s iconic imagery — of fellow artists, musicians, actors and celebrities,” said Lyle Williams, McNay curator of prints and drawings. The exhibition features bold screenprints — embellished with Duardo’s expressive pastel markmaking — of icons such as Marlon Brando, Pablo Picasso, Audrey Hepburn, Billie Holiday, Frida Kahlo — even Miley Cyrus, in her underwear with a dartboard on her chest. Many of Duardo’s works — his images of Marilyn Monroe, for instance — obviously owe a debt to Warhol, and to Pop Art in general — hence the tag “West Coast Warhol.” But Warhol didn’t define him, Williams said. Gregarious and outspoken, Duardo “always had several pots on the stove,” Williams said. Shepard Fairey, the artist who created the iconic Obama “Hope” image, blogged last year after Duardo’s death that his friend and colleague was a mentor as well. 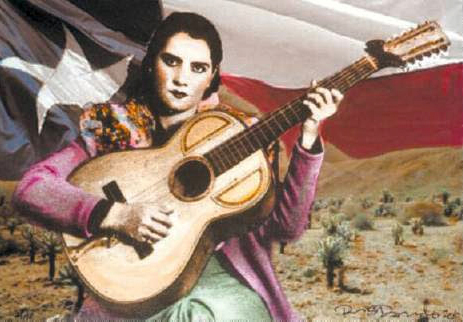 “Richard Duardo: Maestro of Pop” is certainly a tribute to the artist. When Romo previewed the show, he was shaken.